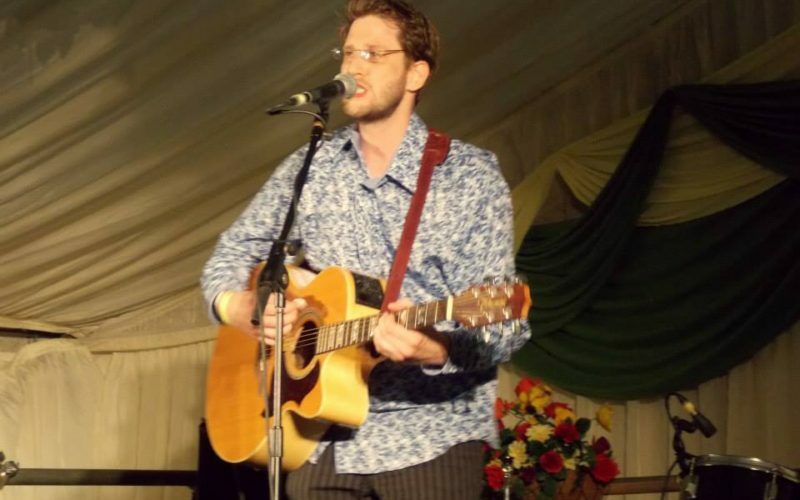 This week’s guest on The WOT Show is Jez Charles a local singer/songwiter who will be coming in to talk and play some songs. Although not always autobiographical, my songs are based on catchy melodies with honest lyrics that mean something and tell a story. I don’t think music needs to be overly clever; I think there will always be a place for a decent, catchy tune with lyrics people can relate to. I just write whatever feels right at the time and means something to me, regardless of whether other people will like it or not – But obviously, I hope when people do listen to my songs, that they can relate, and do enjoy listening to them. Growing up listening to different music from a very early age, I always imagined singing to an audience and would daydream – staring out the window of the classroom. I asked my mates from school if they wanted to set up a band and we soon began playing in public and it really was a life-changing experience! Having spent a couple of years writing lyrics, I began teaching myself how to play the guitar in order to create melodies for my lyrics. After performing my own songs with the band and on my own between sets, I left the band to concentrate on solo gigs – performing original material along with covers that have influenced my interest in music. As well as venues such as pubs and clubs, I’ve performed in various talent contests and received positive feedback from local radio DJ’s, in turn giving me the confidence to do gigs consisting solely of original material. After travelling around America performing in bars, today I continue to write and perform as a solo original artist.